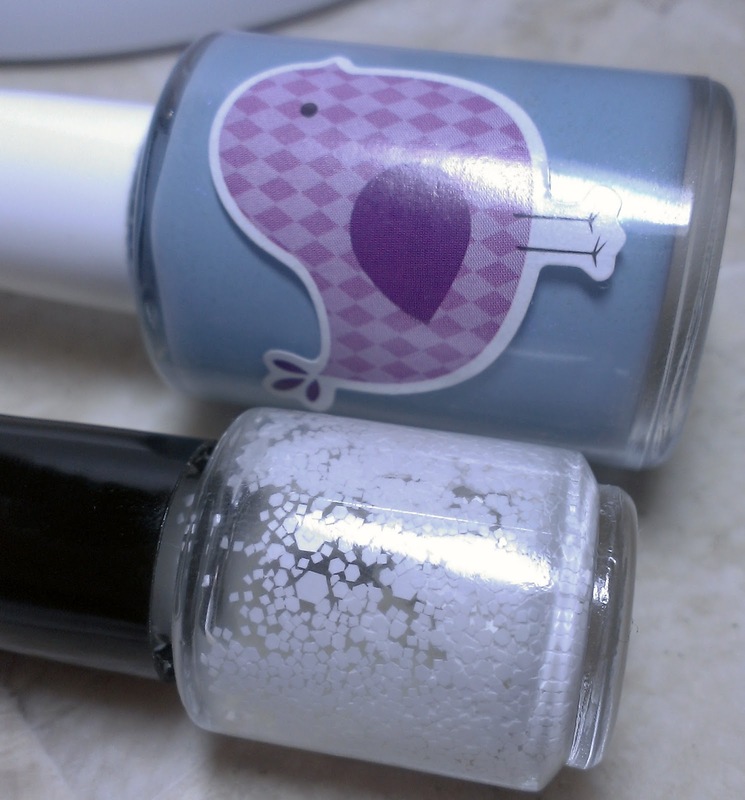 For today's post, we decided to use some frankens I made, I would consider the Baby Blue a fail becuase it has a shimmer that NEVER showed up :(, I can see it in the bottle but not my nails! Anyways, the accent finger is just a mixture different size white glitter, which Maria helped me name White Clouds. Hope you all have a wonderful safe weekend. Love the colour and white glittahs!!!!!! This is so pretty! Whether the shimmer shows or not, it's still a pretty blue! I really like the baby blue and the accent nail really "nails" the manicure! 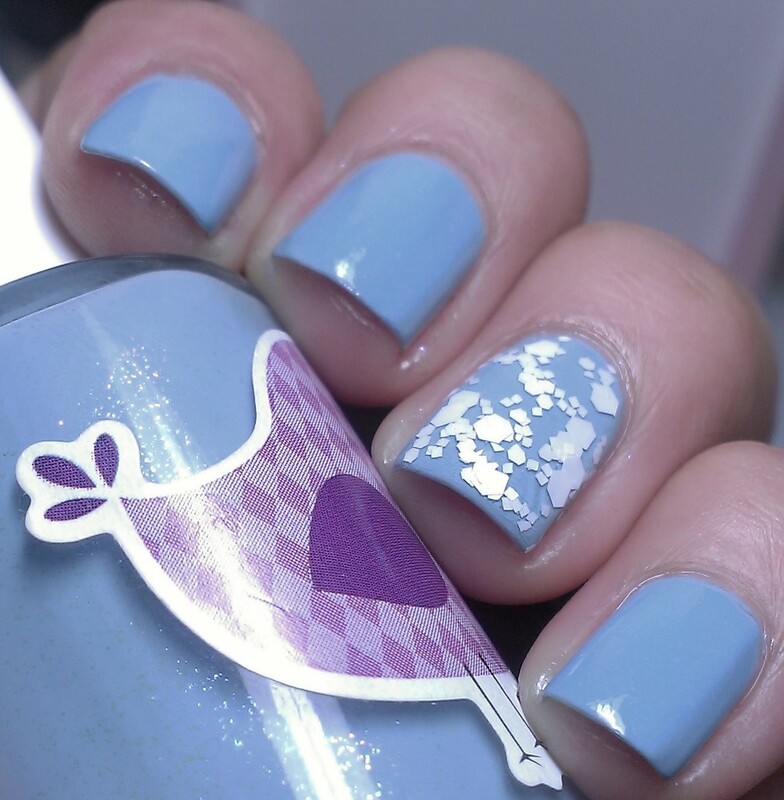 You might consider it a fail, but the baby blue is a perfect shade in my book - the entire mani looks so lovely! I love the blue! Your nails are gorgeous. I like this but I wish we could see the shimmer on your nails! Thats strange that we cant see it. Very nice. Liking the white sparkle. Love the pastel and sparkle combination! Gorgeous. These look great together too. Love the white glitter ♥.